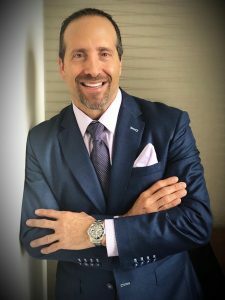 On November 3rd 2015, Marc Demetriou was a Key Note Speaker at The Mastermind Summit, the #1 real estate and mortgage event in America which took place at the Borgata in Atlantic City, NJ from Nov 2 – Nov 5. Marc spoke in front of a room of 1200 realtors and shared some information on his training course, “How to Build an Incredibly Successful Referral Based Business.” Other Keynote speakers that were in attendance to speak along with Marc were motivational speaker, Tony Robbins, Barbara Corcoran from Shark Tank and many others. Additionally, on November 5th Marc was on a Top Producer Panel in front of 1200 mortgage originators and discussed his marketing and business development ideas and strategies.